With 1 billion active users, Whatsapp is the most popular messaging application. And I am sure, if you are reading this article, you are one of them. From family and friends to the place you work at, staying all time connected comes easy with it. So having only one WhatsApp account for both purposes, is not enough for most of us. 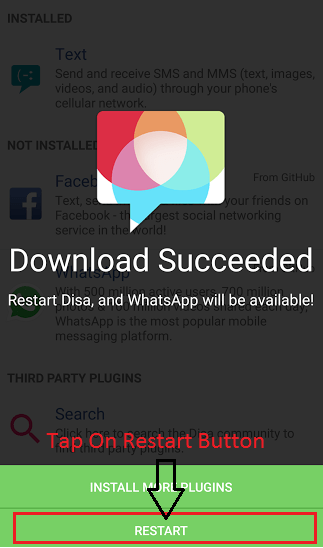 In this article, I am going to tell you how to Install 2 WhatsApp Accounts on your phone. And guess what? You even don’t need a dual sim phone for that. And all this is possible with Disa.im App. Actually the app has much more to offer. Know more about the app from here. It is going to assort all your messaging apps at one place. I would also like to mention that with Disa.im, you can have 2 versions of many more apps like Facebook, Hike, WeChat. 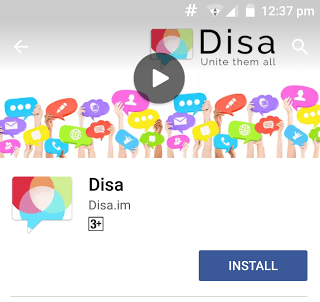 Download Disa.im app from the Google Play Store. Or you can click here to download the app for your device. 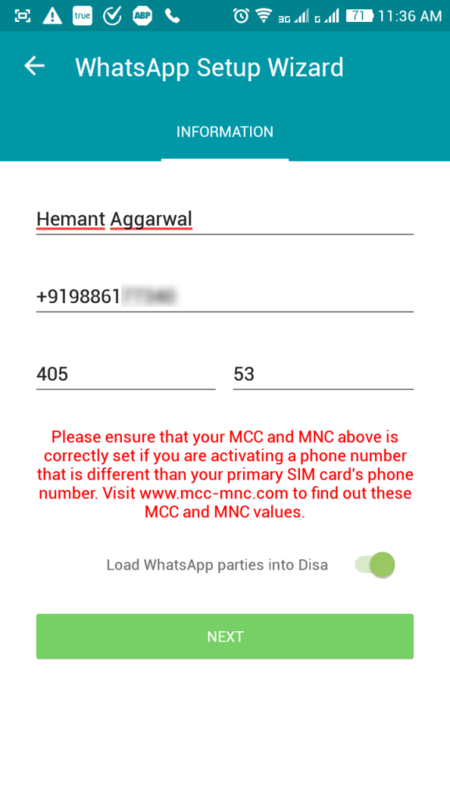 Once you have installed the Disa.im app, it will ask you to “Add Service” as shown in the image. Tap on the option. Now, a list of services will be displayed. Since we are installing 2 WhatsApp accounts, tap on WhatsApp. Now, the WhatsApp Plugin will be downloaded and installed from GitHub Server. After installation, tap on the “Restart” tab. 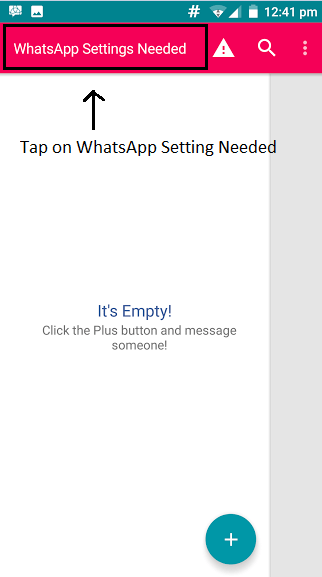 Now your screen will show a message – “WhatsApp Settings Needed” on the top. 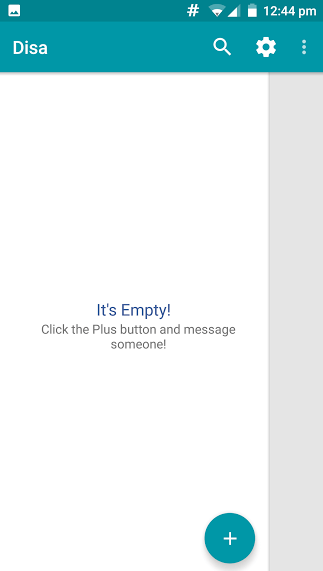 Tap on this message. 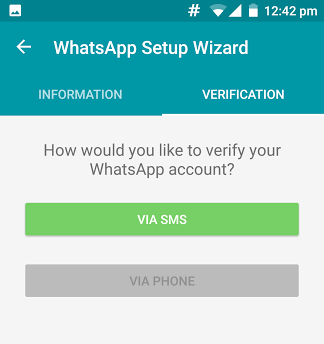 Once you tap on the message, you will be taken to WhatsApp Setup Wizard, where, you will be asked to uninstall your original WhatsApp. You don’t have to uninstall it. 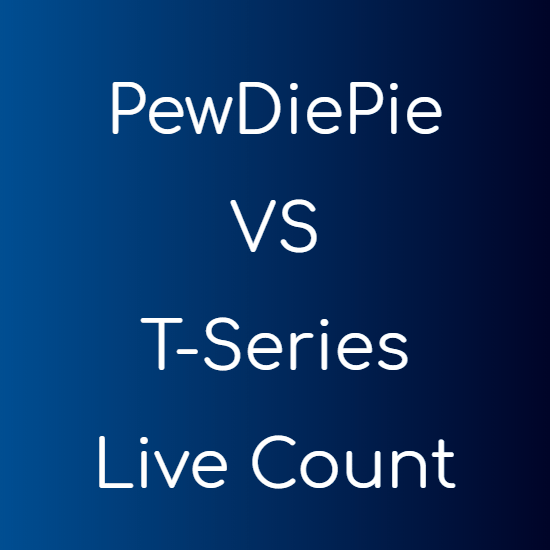 Click on the “Skip” button. With that done, you will be asked to add basic information like your name and mobile number. Enter your name and the secondary mobile number. By secondary number, what I mean is the number, that you don’t have a WhatsApp account with. And one more thing – Do not forget to add country code before your secondary mobile number. Also, you will need to type MCC and MNC codes. These codes depend on your mobile service provider, and your country. You can find these codes here. Now you will be asked to verify your WhatsApp account. 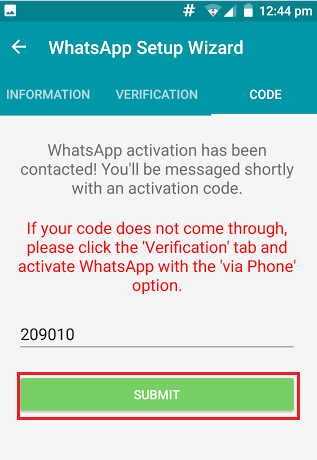 You can either get Verification Code via an sms or over phone. After you have received the Verification Code, enter it and tap on “Submit“. 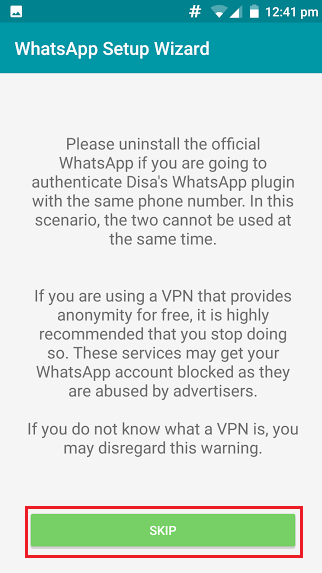 With all this done, you have successfully installed and configured WhatsApp Plugin within Disa.im. Now you have two WhatsApp accounts. First, the original one with your Primary Number and, the another one, with the Secondary Number, in Disa.im App.